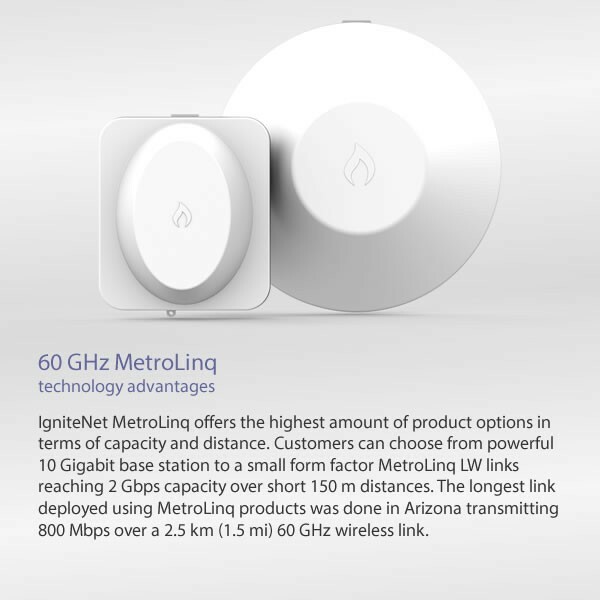 The IgniteNet™ MetroLinq™ 2.5G 60 offers unprecedented performance - combining both the benefits of unlicensed band operation with no interference! The MetroLinq™ 2.5G 60 can operate either as a stand-alone device or as a coordinated, cloud-managed device, easily meeting the requirements of any installation. The MetroLinq™ 2.5G 60 features a hybrid metal/plastic design built to withstand the harshest environments including precipitation, hot/cold weather and high/low humidities.